For over 45 years, Kapaia Stitchery has been serving locals and tourists on Kauai. We are proud to be the longest operating and largest sewing and quilt fabric store in the region. Our goal is to meet all of your quilting and fabric needs. We provide personalized attention to each customer to ensure that you find exactly what you are looking for. We offer a wide selection of quilting fabrics, finished island products, Aloha attire, Hawaiian quilts, and much more. 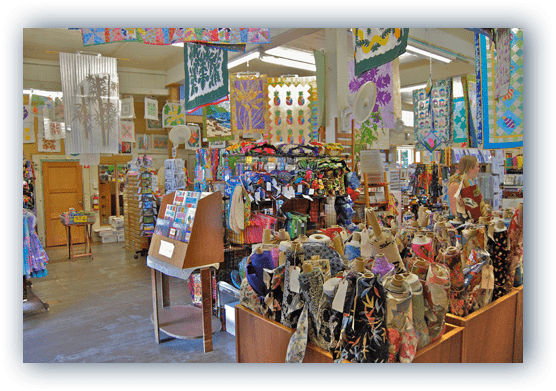 Kapaia Stitchery is the largest retailer of quilting supplies, batiks, and Hawaiian prints on Kauai. We are located right in Lihue, Hawaii. We also invite you to contact us via Facebook to see what we have in store for you. Kapaia Stitchery has a deep history that exemplifies the dedication and aloha that our shop focuses on. On April 1, 1973, Julie Yukimura opened Kapaia Stitchery deep in the heart of the Kapaia Valley. Jean Acoba worked in the shop since 1990 and collaborated with Julie and other employees to express their passion for the craft of creation. They worked to delicately weave the foundation of warmth and love of service that continues to this day. They are also committed to provide the highest quality tropical quilting fabrics, quilting supplies, and crafts at a fair price. Jean Acoba gave up her accounting job to begin working full time at Kapaia Stitchery and was the store manager at the time of Julie’s untimely death at the age of 59 on November 6, 2007. As customers, who had become like family, continued to arrive, a mutual decision was made by all of the employees to resume operations because that is what Julie would have wanted. Jean continued to manage the store for the Yukimura family. When the family decided to sell the store in 2012, Jean purchased Kapaia Stitchery on 12/12/2012 (her daughter’s birthday). Jean and the employees continue the traditions that have been in place for over four decades. We continue to offer our annual April Fool’s Day anniversary sale and continue to provide the friendly service. 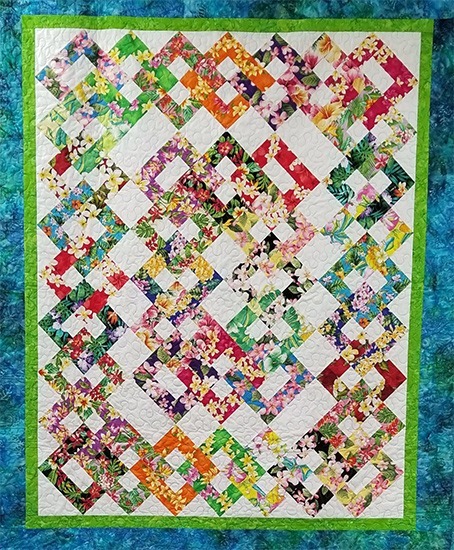 We value every customer for the ongoing friendships that we have formed, as well as the mutual love that we share for quilting and fabric arts. Please call us at (808) 245-2281 or fill out our submission form if you have any questions or would like to place an order for quilting fabric, patterns and kits, supplies and notions, aloha wear, local crafts, and more.